Aloha! For some reason I am feeling a little fed up, I guess it is because it has been a busy day at work. I can’t wait for the weekend, finally get to spend time with Chris & wear my own clothes & not a stupid uniform! This outfit is a blast from the past & is something I wore when the weather was significantly warmer than it is now. 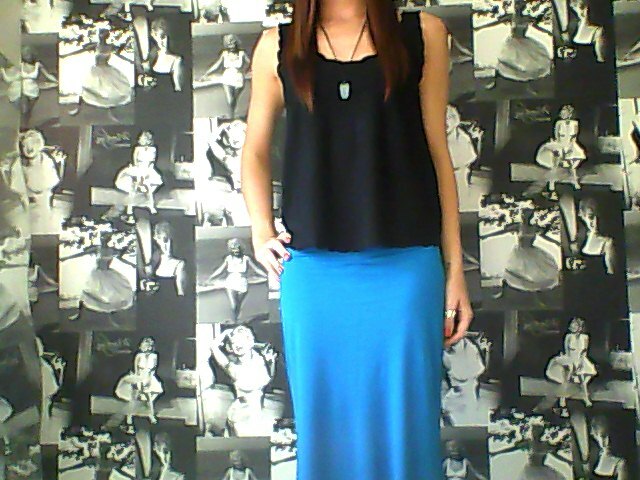 I am really fond of this blue maxi skirt from Topshop. It is perfect for colour blocking & ideal for adding a pop of bright colour to any outfit! 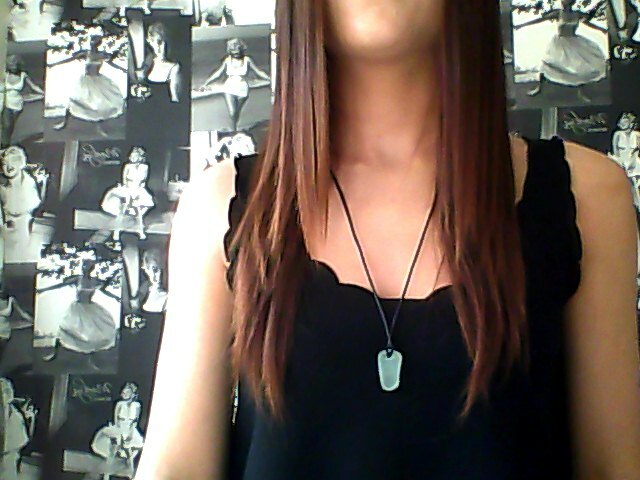 I wore my Sea Glass Necklace that I made myself. Sea Glass is so beautiful, I love looking for it whilst walking on the beach. I am back at work tomorrow & then off for the weekend – woo hoo!